For small businesses, a beautiful and consistent brand on Instagram is everything; if you’re not clearly communicating your brand, then you are losing out on potential business and followers. Here at RINGLET, we value branding and brand identity above all else. We’ve seen SO many small businesses grow exponentially by maintaining high quality and consistent content on social media – and Instagram matters the most. The question that many small business owners and entrepreneurs are asking is “How do I form a brand identity, create content, and consistently post on Instagram? !” For those who aren’t as savvy with design and social media, it can seem like a daunting task. However, it’s not impossible! 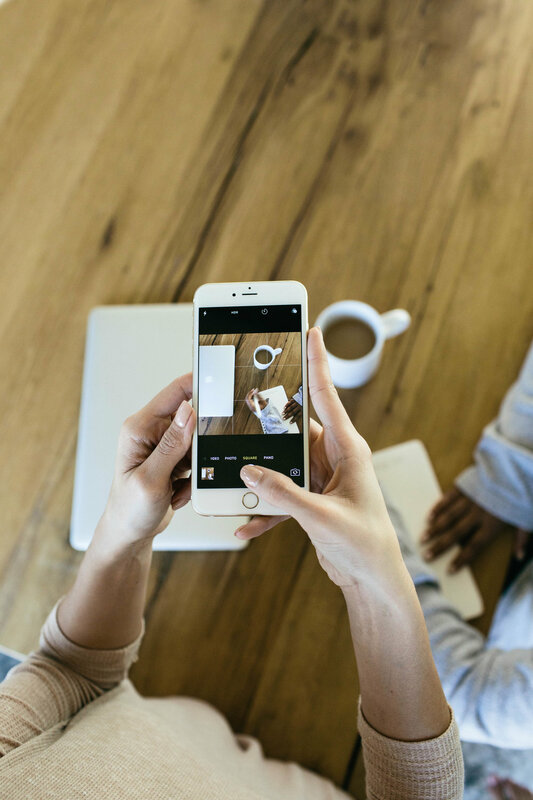 We’re going to break down some tips to help you successfully brand your Instagram and grow your business. Instagram is essentially your digital portfolio, so make it count! First, you should have a full understanding of your brand and narrow it down into a concise and digestible idea. If you can’t describe your own brand, then you can’t expect other people to get it. Who are you (in three words)? What is your style or aesthetic? A cohesive style with a consistent message leads to good branding. When someone’s looking at your Instagram grid, they should be able to recognize who you are and what you do instantly. Rule of thumb: Don’t post anything that is not in line with your brand, even if your kid really is that cute;). It helps to keep a few key points in check when maintaining consistent content on Instagram. Figure out a color scheme that works for you and your brand and stick to it. Editing images to fit into your color scheme is also very important. Once you get into the rhythm, it gets easier and will become second nature. Pay attention to the balance of various types of composition style within your feed to maintain a consistent brand presence, whether it be the rule of thirds, creating dynamic imagery, or playing with various textures and patterns. It all comes down to the content category and how you choose to style it. Having the right combination of content will allow your brand to stand out! You don’t want too much or too little of anything – it’s all about balance. The primary goal of branding is to have content that is instantly recognizable, regardless of whether or not your brand name is visible. Brand recognition is invaluable. What is your brand all about? You should be communicating what your story is in every image that you post. Clarity is an essential aspect of telling your digital story. Once you have a clear idea of who you are and what content to create – it’s important to be organized and have a plan. Planning your content and arranging it to have a good flow is so important in maintaining a solid presence on Instagram. Whether you’re forming a company from scratch or pushing the refresh button on your branding – it all comes down to knowing who you are and being steadfast with the content you create. Social media has opened up the doors of possibility for small businesses, creatives, and entrepreneurs – don’t let your business be overlooked because of mediocre branding. It takes time and hard work to curate a cohesive brand identity, but it’s so worth it! YOU GOT THIS! Sign up with your email address to receive news, our weekly Ringlet, freebies, interviews, updates, and MORE!